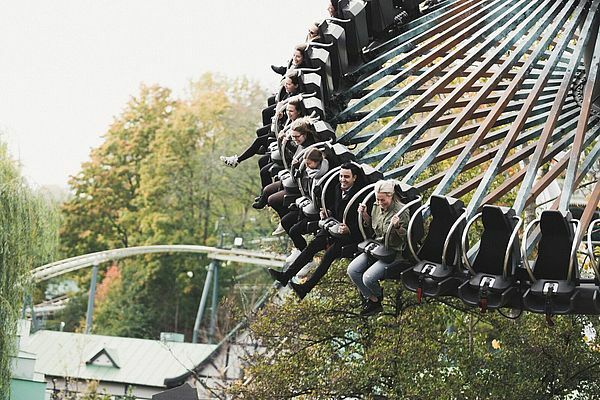 For 140 thrill-filled seconds, screaming riders on the Loke Gyro Swing at Liseberg Amusement Park in Gothenburg, Sweden, get the exciting sensation of flying weightlessly through the air. 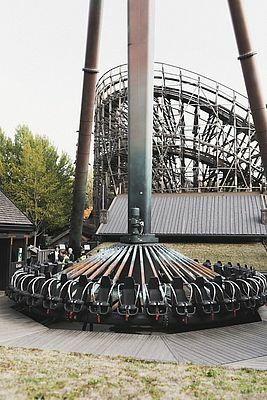 The swinging pendulum motion and high speed of rotation thrusts 40 riders almost upside-down while simultaneously spinning them 360° around. Then, on the downswing, their bodies are subjected to massive 4-G forces (four times the Earth’s normal gravitational pull) while racing forward at over 100 km/h. When Loke finishes, the smiling, adrenaline-filled riders are clearly pleased. Delivering those thrills, and doing it safely, is no easy task. Although the technology used behind the scenes is something that most people never think about, ABB’s advanced drives play a critical role in keeping the rides moving, safely and efficiently. The leader in the field of amusement park rides is Intamin Amusement Rides group, which builds a large number of such attractions worldwide. 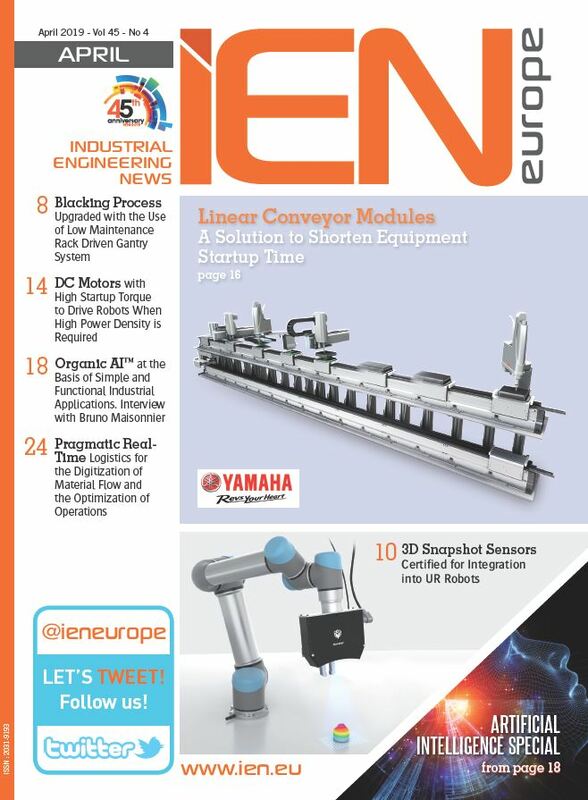 Its sister company Inautec GmbH of Switzerland is responsible for the fail-safe ride control system and supporting installation and commissioning of the rides. 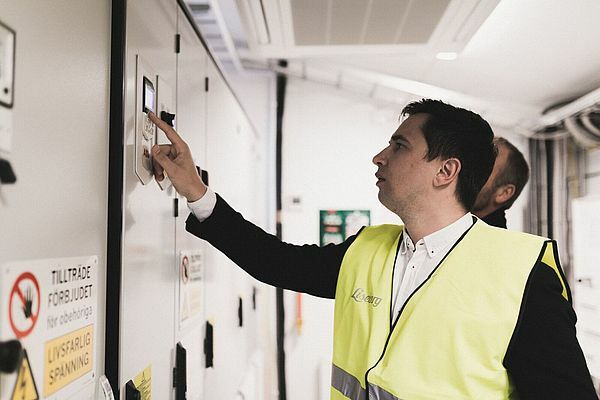 Stephan Siegrist, Inautec’s Engineering and Managing Director, is a big fan of the way that ABB drives keep everything under control to run the swing safely and accurately, while simultaneously simplifying the design. Safety is also a key area where Siegrist sees major benefits, since there can be absolutely no compromise in safety when people are riding the pendulum. ABB drives, which can easily be integrated in different control systems using safe I/Os or even PROFIsafe communications, are designed to support many different safety functions, meeting the highest reliability levels as defined by global safety standards. Of course, the technology used behind the scenes means nothing if the ride doesn’t attract customers and produce thrills. “The riders love Loke!” exclaims Kenneth Berndtsson, Technical and Safety director at the park, which has 3.2 million visitors per year. “It is a super popular ride for us here at Liseberg.” In fact, Loke is so exciting that it was voted Europe’s ‘Best Thrill Ride 2018’ by the amusement park journal, Kirmes & Park Revue.